There are many reasons the political atmosphere in Akwa Ibom State is steeped in intense heat and momentum as the elections draw near. Since 1999, political observers believe 2019 marks the first time the state is witnessing serious electoral competition, because for the first time also the opposition seems to be in a strong position than in previous years. In the past 20 years, the Peoples Democratic Party (PDP) has been governing the state, but today the situation seems set to change. The opposition All Progressive Congress (APC) in the state believes the power from the centre could help it pose serious challenge to PDP. APC stakeholders in the state have been persuading their supporters with the argument that for the state to continue in opposite was counterproductive, stressing that it was time to join the party at the center. On the other hand, PDP has continued to counter such sentiment with the claim that within the years they have been at the helm of affairs of the state, tangible and significant indices of developments have not only been recorded, but are also there to be seen in all sectors of the economy. For instance, PDP points to health, education, industries, youth development, security, women empowerment and others as its success card, maintaining that Akwa Ibom compete favourably with other states in the country. “It would therefore be hazardous to change the goalpost in the middle of the game,” the party asserts. But in terms of equity and political considerations, it should be noted that Akwa Ibom State sits on a tripod that consists of Uyo, Ikot Ekpene and Eket Senatorial Districts. From 1999 through 2007, Obong Victor Attah of Uyo Senatorial District served as governor and Senator Godswill Akpabio succeeded him. Akpabio, who hails from Ikot Ekpene Senatorial District, was in office from 2007-2015. It should also be noted that in the interest of stability and harmonious development, Obong Attah and Senator Akpabio were allowed to complete two tenures of eight years each on the same political platform. Now, the incumbent governor, Udom Emmanuel, who is from Eket Senatorial District, is occupying the governorship seat on behalf of the third leg of the tripod. Emmanuel is rounding off his first tenure of four years and seeking a second in office. It was in line with this trajectory that the stakeholders from Uyo Senatorial District resolved that, for equity, fairness and justice, Eket Senatorial District should be allowed to complete eight years with the same candidate, as obtained when the other two districts took their turns, noting that this would sustain the balanced political equation and peaceful coexistence for future generations in the state. It could be seen from the line of reasoning of people of Uyo Senatorial District that altering the arrangement at this point could jeopardize their chances in 2023 when they hope to take their deserved turn at the governorship.That fear seems to be accentuated by the general belief that in the event that the APC governorship candidate, Obong Nsima Ekere wins, he would naturally recant his promise of serving for just one term. Uyo people maintain that such political promises by an outsider to the throne have never been honoured in Nigeria’s history. Some stakeholders who spoke with The Guardian said the matter goes beyond politics, nothing, “What we are saying has nothing to do with ethnic colorations, whether you are Ibibio, Annang, Oro, Obolo, but what we are saying is that what is good for the goose is good for the gander. If Uyo and Ikot Ekpene Senatorial Districts have gone for eight years with one candidate each, Eket Senatorial District with Udom Emmanuel of PDP should be allowed similar access, so as not to create mistrust in the minds of Eket people in future elections. 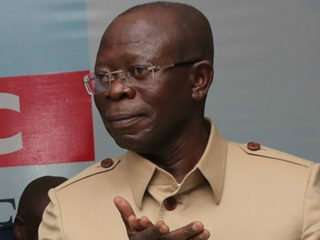 Although, the APC candidate hails from the same Eket Senatorial District, Uyo people are afraid that, being the mother of the state, it would be suicidal for them to stay away from power for 20 years without another stint at the governorship seat.An APC chieftain who pleaded anonymity from the zone said: “If anything happens on the contrary, there is no way Obong Nsima Ekere will run for one term; this will leave Uyo on the waiting seat for 20 years after Obong Attah left office. 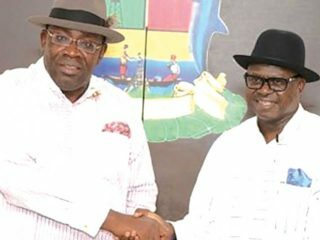 Addressing a rally recently, the Senator representing Uyo Senatorial District, Bassey Albert (OBA), enjoined his people not to believe the APC candidate’s promise of serving for just one term as governor, maintaining that the zone should support the PDP governorship candidate for a second term as they did for Ikot Ekpene zone. Senator Albert said: “I believe in God Almighty that God shall speak for Uyo Senatorial District in 2019 and 2023. Governor Udom has lived up to his vision on the establishment of industries in Akwa Ibom, most importantly, the prevailing peace in the state. He deserves a second term. By 2023, it would be the turn of Uyo Senatorial District. We must support Udom to complete his tenure. “Our leader, Obong Victor Attah, did eight years and championed powershift to Ikot Ekpene zone and the lot fell on Senator Godswill Akpabio. By 2015 Udom Emmanuel started the race for Eket and it is for eight years. As a leader you have to define the interest of your people and have your interest subsumed in their interest. My people strongly feel governor Udom Emmanuel should do eight years on the saddle. “Anybody from Uyo Senatorial District who believes his personal interest supersedes the collective interest of the people is deceiving himself. Nsima Ekere can never do four years. God forbid. He can never keep that agreement. There is no way Nsima can do four years. The constitution allows him eight years. It means Uyo would be out of power for 20 years. God forbid. The people will re-elect Governor Udom Emmanuel based on his performance. “Uyo Senatorial District was supposed to produce the deputy governor; they took it away from us, because we had nobody to speak for us. We will not allow them take 2023 from us. It is only through the instrumentality of the re-election of governor Udom Emmanuel that Uyo for 2023 is guaranteed. Taking up the refrain, the Speaker, Akwa Ibom State House of Assembly, Onofiok Luke, who is from Uyo Senatorial District and also a contender for Etinan Federal Constituency, told his people to support governor Emmanuel’s second term bid, since according to him, the governor means well for people of the senatorial district and the entire Akwa Ibom State. 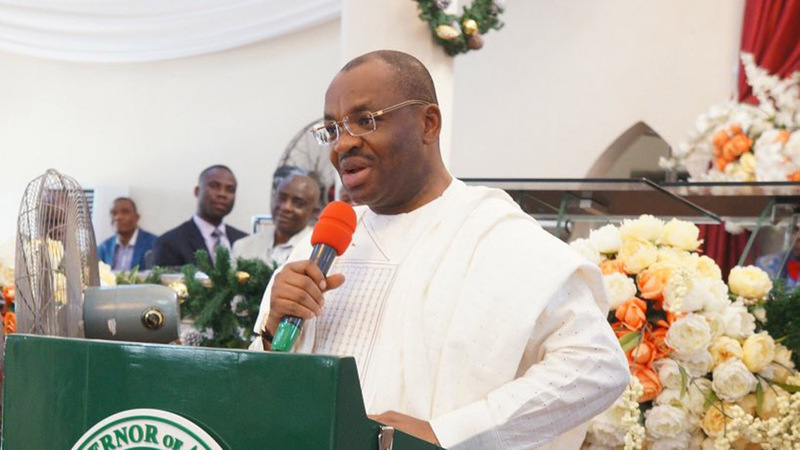 But aside from the overt campaigns by stakeholders and people of Uyo Senatorial District for governor Emmanuel’s second term on the basis of their interest in the 2023 political calculations and power shift, most citizens of Akwa Ibom express worry that politicians might destroy the smooth development going on in the state under Governor Emmanuel’s watch. 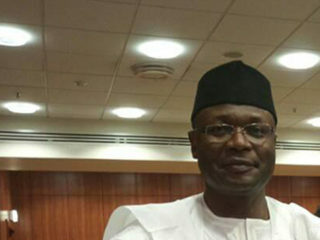 Those who spoke with The Guardian on the tensed political atmosphere in the state said it was regrettable that some of those who enjoyed two terms and are seeking another term in office are ganging up to cause political confusion in the state.While commending the governor for his ability and demonstrated capacity in managing resources, they believe his background in banking has helped his administration to record outstanding achievements, particularly in the areas of industrialization, road construction, youth development, education, healthcare delivery among others. 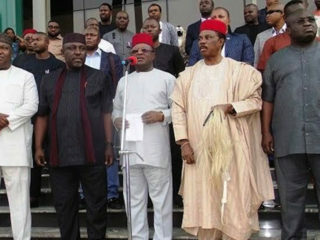 In the weeks preceding the governorship poll, the direction the pendulum would swing in Akwa Ibom would become clearer. However, there is nothing to indicate that the noise from the opposition APC would radically alter the pre-arranged calculations to thwart Emmanuel another term in office.